5 Must Try Pumpkin Recipes That Are Not Pie: Pumpkin lends itself to dishes both sweet and savory. With a boost of flavor and nutritional benefits, pumpkin needs to be included in your diet. I love pumpkin. But I am not the biggest pumpkin pie fan. Or pumpkin spice latte. Go ahead hate me, call me crazy. It just is what it is. But like I said, I adore pumpkin and eat it all year long. In fact it is one of my go-to pantry items to keep on hand for a boost of nutrition and flavor that I can add to breakfast, lunch, dinner, or dessert. Pumpkin finds it’s way on my table in both savory and sweet dishes. In fact, I have some fabulous recipes to share with you today. For breakfast, I like to add it to my oatmeal with a drizzle of maple syrup and some dried cranberries. For a fancier breakfast, nothing beats Overnight Pumpkin Spice French Toast Casserole. Bread is soaked in a rich custard flavored with pumpkin and warming spices of cinnamon, ginger, and nutmeg. Then it is finished off with a struesel for extra crunch and flavor. Sounds like a great choice for Thanksgiving or Christmas Breakfast, doesn’t it?! Another item I enjoy with a cup of coffee is Pumpkin Muffins. These muffins are whole wheat, naturally sweetened and dairy free. But I promise you they are the moistest muffins I have ever had. I can linger over a cup of coffee and one of these muffins–a bit of heaven in my book. Slather these muffins with homemade pumpkin butter and WOW!! But did you ever think of using pumpkin in savory dishes? It is time you change that, if you have not yet made a savory pumpkin dish! One of my favorite things to do is mix pumpkin with beans of some sort and serve as a quick, nutritious burrito. Believe it or not pumpkin pairs perfectly with Mexican spices. Sometimes I serve the burritos plain with just a side of salsa. 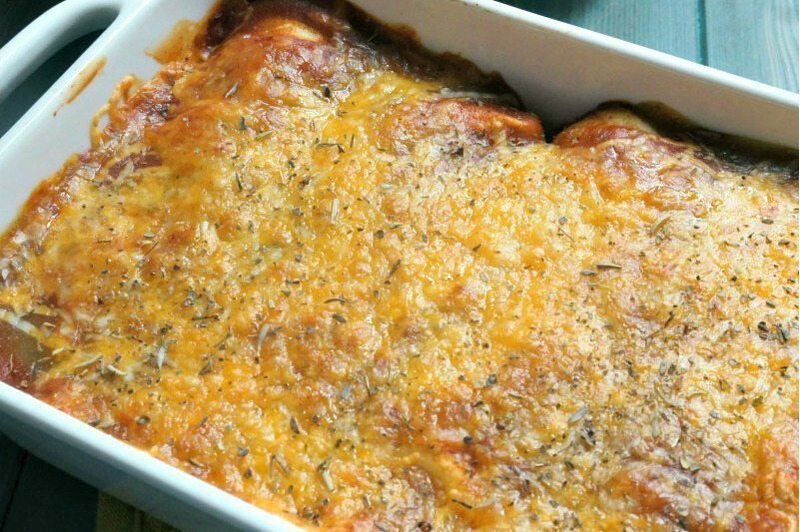 Other times I take the dish up a few notches and make these Pumpkin Enchiladas–out of this world! Or how about trying pumpkin in a side dish? Like this Harvest Quinoa Salad with Pumpkin Viniagrette. Yes, Pumpkin Dressing?! You don’t want to miss this sweet and savory salad. And of course as you know, pumpkin lends itself perfectly to desserts. 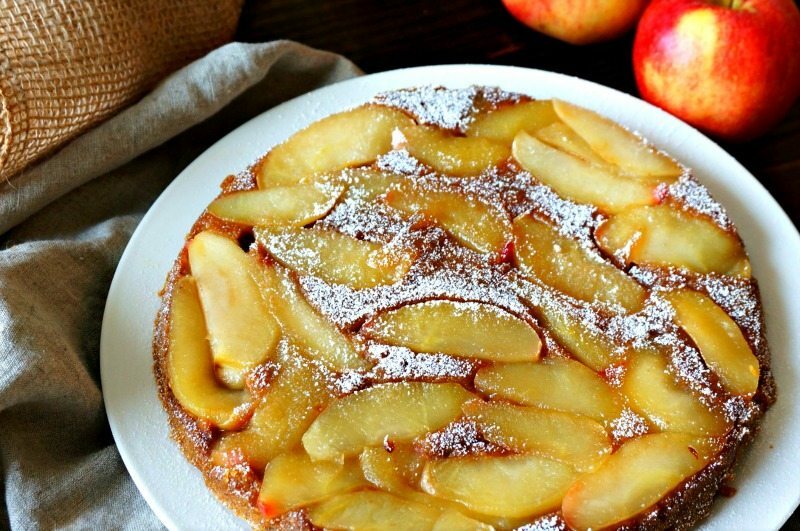 My personal favorite is this Upside Down Pumpkin Apple Cake. Oh yes, so incredibly tasty and bursting will all the flavors you crave during the fall months. So tell me, which one are you most excited to try? My best advice is to make them all! Great roundup! I get it, I am so not into the PSL, but give me a homemade pumpkin bread or muffin and I am in heaven 🙂 I am definitely going to try that pumpkin spice french toast bake, YUM! The french toast bake is OUT OF THIS WORLD!! I find pumpkin spice lattes to be overrated, but these are some great pumpkin recipes! I love pumpkin in savory dishes but that upside down apple pumpkin cake and those pumpkin muffins with pumpkin butter sound amazing! You would love all these dishes! Pumpkin Enchiladas make sense. The recipe looks divine-and something I never would have thought of. Clever! Thanks! I absolutely LOVE them! Those pumpkin enchiladas sound so good! Nicole, I could eat them every single day!